A major earthquake was felt on Sunday in Indonesia's Lombok Island, in which at least 82 people died and hundreds were injured and several buildings damaged. Officials gave this information. Panic spread among tourists and locals by the earthquake. According to the US Geological Survey (USGS), the intensity of this earthquake was seven and its center was only 10 kilometers below the ground in the northern area of Lombok. More than 12 people died in the earthquake on Lombok Island a week ago. 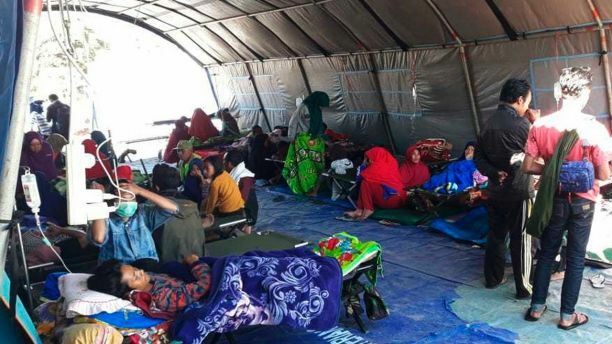 Agarang Pramuza, a senior officer of the Matram Talashi and Rescue Agency told AFP that the number of dead has increased to 37. Officials said that the tsunami warning issued after the earthquake has been canceled. Officials said that a brief tsunami warning was issued in the latest earthquake. It also damaged the buildings in Bali's Deccar. These buildings include the building of a department store and airport terminals. D. Karnavati, the Meteorological, Climate Science and Geophysics Agency said that the tsunami warning was withdrawn when the tsunami waves were recorded only 15 cms high in three villages. Lombok's disaster officer Ivan Asmara said that people came out of their homes fearing fear. 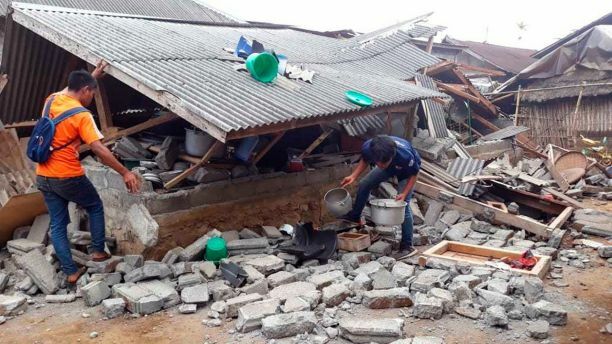 Indonesia Disaster Mitigation Agency spokesman Sutopo Pervo Nugroho said that most of the buildings damaged in the city were using poorly constructed materials. Shanmugam, the Minister of the Interior of Singapore, located in Lombok for the security conference, told on Facebook how his hotel room was moving on the tenth floor.